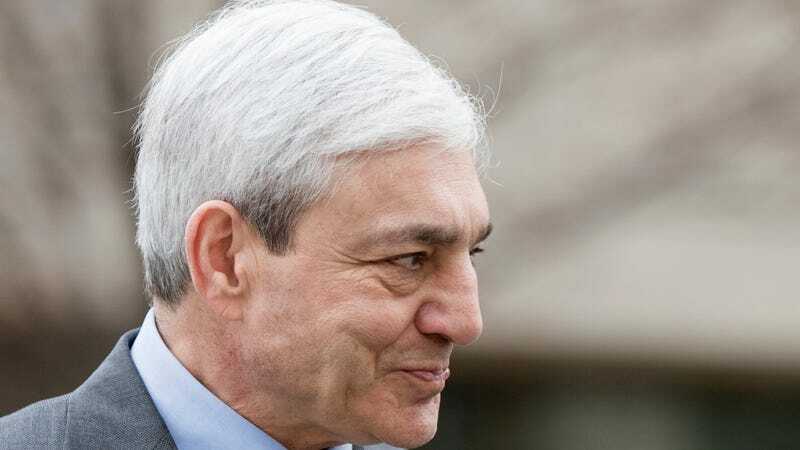 Former Penn State president Graham Spanier, who was convicted on one count of child endangerment following his failure to act on accusations of child abuse toward former Penn State assistant coach Jerry Sandusky, will serve two months in prison. Former athletic director Tim Curley and former vice president Gary Schultz, both of whom pleaded guilty to child endangerment, will also serve jail time. All three were sentenced today by Judge John Boccabella, who said that they each “ignored the opportunity to put an end to Sandusky’s crimes when they had a chance to do so,” while handing down his decision. Spanier was sentenced to four to 12 months; he will serve the first two months in jail and the last two under house arrest. Curley got a sentence of seven to 23 months, and will serve three of those months in jail. Schultz will serve two months in jail after receiving a sentence of six to 23 months. All three men apologized for their actions before the judge made his sentencing.